Most organizations have now completed the transition to ISO 13485:2016. Many organizations suffered from paralysis by analysis and writer’s block when implementing QMS changes for compliance. In hindsight, most organizations have fared well and for many the challenge seemed more daunting than it was in actuality. While ISO 13485:2016 felt like a big deal, EU MDR is a big deal. And, the challenges with implementation will be even more pronounced with EU MDR. With the finalization of ISO 13485:2016 activities for many clients and planning for and implementing EU MDR requirements, I’ve found parallels between principles of other professions and good practices in our own industry. Let’s explore seemingly unrelated professions and how we can apply their principles to the EU MDR transition (or really any medtech project). These analogies were originally prompted by the parallels I’ve noted between my career and my favorite hobby—growing my own food. Like medical technology companies, farming requires competent personnel, tools and planning. Like farming, it’s likely necessary for you to require “seasonal labor” in the form of consultants or contractors to implement new systems and carry some of the workload during the busy transition. You will also find that some of your old tools (for medtech: Quality system forms, databases, etc.) need to be upgraded with automated or higher volume tools to accommodate increased requirements or workload. Transitional periods such as this are also great times to review organizational priorities. Clearing the seedbed is a practice in which a previous crop or weed seeds are killed off to reduce competition with the intended crop. Like competing seeds and residual crops, existing or ongoing projects may compete with your EU MDR compliance efforts. Establish timelines by which existing projects will be completed or cancelled. “Clear the seedbed” for this new, and critical, project to flourish. A languishing project may only serve to stifle others. Management review or management planning sessions are the perfect time to determine which projects should be pushed for a quicker “harvest” and which projects should be weeded out from corporate objectives. Knock out any remaining ISO 13485:2016 and MDSAP compliance action items now to clear the seedbed for EU MDR. In watching the true crime show Cold Justice, I realized my own approach to EU MDR early on is similar to a method used by Kelly Siegler, the shrewd prosecutor leading the investigations. When investigating a case, she maps out all of the available information on a giant whiteboard. Lines are drawn between connected information and notes are made where more information is necessary. Where an investigator has questions for an individual, those questions are noted. Use this similar approach to identify links between processes and areas of the regulation where you may need information or clarification. There are numerous areas of the EU MDR that are open to interpretation by both industry and regulators. Document these questions and seek answers from training events, consultants, and (in some instances) your notified body. Rather than questioning suspects, you’ll be questioning experts. While your notified body cannot consult, they may define their interpretation of a particular requirement. Network with other professionals to find out how they are handling the transition or new requirements. Sometimes, you may ask the same questions to multiple parties to triangulate the best approach. Like a detective ruling out a suspect, you may also find you can rule out some efforts you thought would be necessary. I had two sales positions early in my career—selling cameras and selling flooring. I assure you that no photographs were taken and few floors were replaced based on my abysmal sales abilities. I didn’t last long in either. Such lack of sales skills is not uncommon in the fields of regulatory and quality. However, as we become responsible for our respective areas of the organization and interface with higher level employees, we all have some idea to sell at various times. As a consultant, I’ve had to develop my sales abilities. Whether competing with other consultants or other members of your organization, there is often a lesser product or idea with a better sales pitch than yours. As a quality and regulatory professional driving change, the ability to sell your position is critical to ensure the best outcome for your organization or business partners. As you assess the resource needs (both temporary needs for the transition and permanent resources for the added requirements), you need to convince members of your organization. You may even find that you need to sell your distributor on additional resources for them to address new requirements. Sell your management team on the activities and resources needed for a successful transition (such as “clearing the seedbed”!). This is a great opportunity to develop skills of persuasion you will use throughout your career. My favorite aspect of consulting is the ability to mentor others and share knowledge. If you’re reading this article, you’re likely on (or will be on) the forefront of the EU MDR transition for your company. As such, you’ll also likely assume the role of teacher. 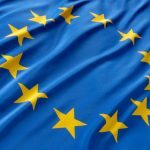 As you learn more about the EU MDR, the common interpretation of requirements, and new developments, you’ll be educating your colleagues in the various areas of responsibility of your company. Determine how you can verify your team’s comprehension of the new concepts. A critical aspect of ISO 13485:2016 is assessing training effectiveness. You may leverage knowledge or experience between these two areas; use this as an opportunity to brainstorm new techniques of verifying training effectiveness. Every teacher was once a student and the best teachers continue to seek education. Seek every training opportunity your schedule and budget allow. Consider participating in or even founding a network to work through the process with other professionals facing the same task. Share new information with your team, perhaps even in a recurring meeting. You may use those aforementioned sales skills to sell upper management on the criticality of attending training or networking functions! You may have seen this one coming! We all have to put out fires on a frequent basis. In between these fires, we must develop the discipline to carry on our usual tasks. Consider how a firefighter alternates between rescuing vulnerable people in dramatic situations and performing routine tasks such as cleaning firetrucks and maintaining the firehouse. Now consider the parallel efforts for emergencies you encounter while managing prolonged projects such as ISO 13485:2016 and EU MDR implementation. It can be easy to let these emergencies become excuses to delay efforts on these projects. However, think of these as opportunities to hone the ability to resume normal operations after putting out a fire. Early in my career, I balanced unplanned and large-scale recalls with routine complaint investigations and planned regulatory submissions. It is challenging to tackle a situation like launching a recall in the midst of a highly anticipated regulatory submission. It was indeed stressful, but I learned how to juggle both and seamlessly transition between these two different tasks. As you work through the EU MDR transition, be mindful in transitioning between the inevitable fires and your transition efforts. Think about how you can develop the habits to do so seamlessly, and you also will be more successful in other areas of your career. I hope these concepts give you food for thought as you guide your organization and your business partners through the critical EU MDR transition. Bryan Brosseau’s experience has been forged in almost 20 years in the medical device and biologics industries. With a varied and in-depth knowledge of quality and regulatory requirements, he hones in on the necessary requirements of a project to ensure quality and compliance without impeding progress. Prior to operating Brosseau Consulting, LLC on a dedicated basis, Brosseau managed quality management systems for numerous companies and has obtained regulatory approvals for products across a wide range of therapy areas. Having obtained many domestic and international regulatory approvals for medical devices and biologics, his thorough understanding of the regulatory maze provides a clear road map for success. Brosseau’s creative solutions have been effective in resolving FDA 483s and warning letters, addressing compliance and operations challenges, creating compliant and convincing technical marketing material, and getting medical devices and biologics to market quickly. 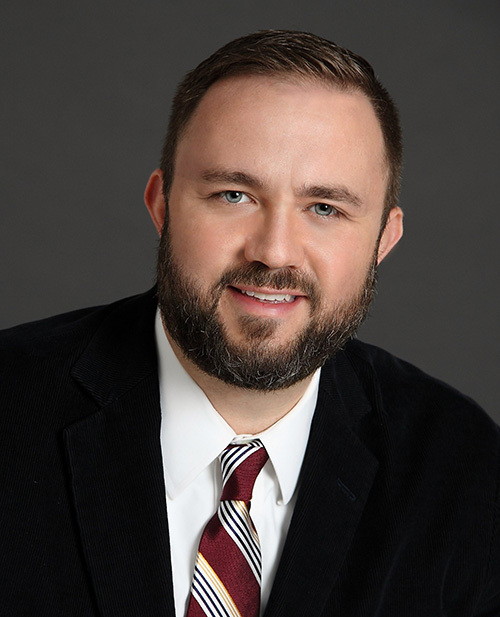 Brosseau received his bachelor’s degree in biology from the University of Georgia, maintains a Regulatory Affairs Certification (US) from the Regulatory Affairs Professionals Society, and is a certified ISO 13485:2016 Lead Auditor. Brosseau’s primary areas of expertise include regulatory submissions, regulatory compliance, quality systems management and technical support. He also provides project management and due diligence support, and excels at both discrete technical activities and high-level management due to his extensive experience in the medical device and biologics industries. With a varied and in-depth knowledge of quality and regulatory requirements, Brosseau ensures a timely path to market, the highest standard of quality, and regulatory compliance for companies.